LaCell specializes in the production of premium quality stem cells, testing reagents and culture media for scientific investigators in the academic and biotechnology research community. LaCell is ready to provide your laboratory with full access to the highest quality primary stromal/stem cell cultures on the market. With more than 50 years of collective experience in stromal/stem cell research, LaCell’s scientists can deliver cryopreserved primary cells from human and murine tissues. All of our carefully monitored products come with detailed quality assurance and quality control records. Accelerate your discovery, lower costs, and focus on running your lab or business with contract research projects through LaCell. Our experienced staff is ready to assist you and your team on confidential and proprietary studies. Our scientists and staff can advise, consult, and collaborate with you in the performance of fee-for-service experiments or extended research grants. LaCell is committed to the clinical translation of stromal/stem cell therapeutics across multiple disciplines. LaCell’s scientists have completed novel studies on the use of human adipose-derived stromal/stem cells in the treatment of pressure ulcers. In the future, LaCell will use its expertise to advance the broader use of adipose-derived cells for healing of burns, diabetic ulcers, and irradiation injuries. 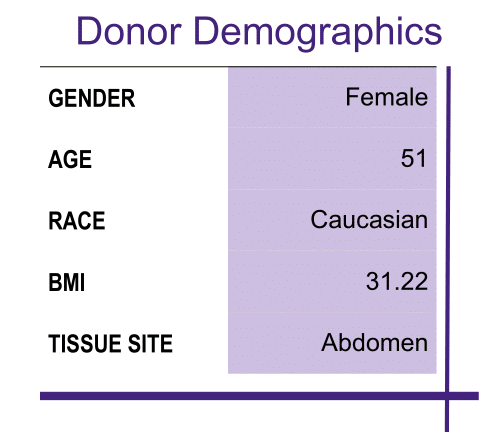 Here at LaCell, we provide detailed donor information with every vial of cell. 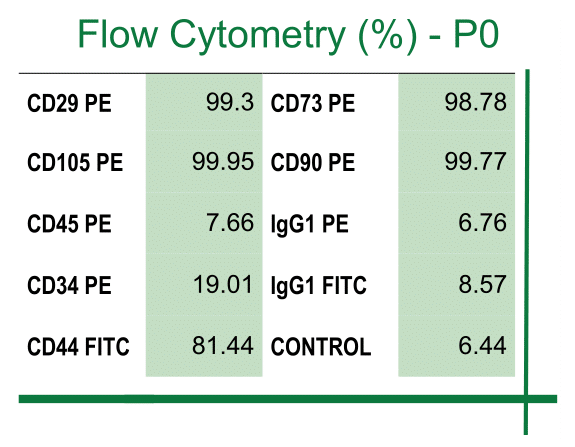 Differentiation profile, donor demographics, flow cytometry and CFU data are all available upon request. Get more consistency in your results!